Attic Problems? LET US HELP! 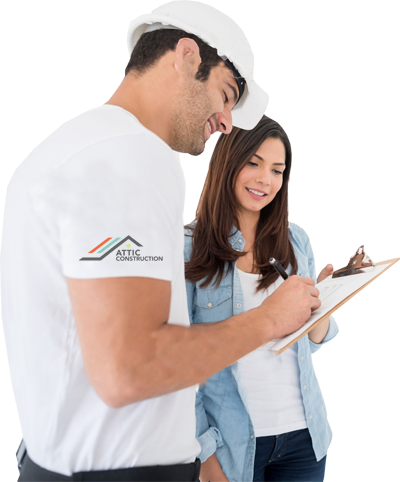 We offer a complete line of services including attic cleaning, insulation, rodent proofing, sanitation, and decontamination. I would highly recommend attic construction! They have been very responsive to my calls, we're flexible when I needed to update my appointment, and showed up exactly on time. Jason was professional, gave great recommendations, and was able to clean things up efficiently. I will definitely use them for future attic needs. Michael Ortiz's team from Attic Construction did a superb job cleaning and reinsulating our attic. As promised, they called 30 minutes before arrival. The first thing Mr. Ortiz did was a walk through while explaining exactly what the team would be doing during the day. We began and ended the day with turning on lights, appliances & central AC/Heat, making sure that no damage had been done to anything in the attic. While he was in the attic, Michael even swapped the AC/Heat filter for me! We have three dogs and the crew made friends with them. The crew members were also careful about being sure the dogs didn't get out. 5+ star quality and service from start to finish. Very friendly and knowledgeable staff and crew. So glad I hired them to replace my home's old insulation. Could not be happier! Eric was our primary point of contact and was very thorough and helpful. We kept hearing noise in the attic like something was running around up there. We called Attic Construction and they came out to look at the attic and discovered that we had many visitors living up there and the smell was horrible. Attic Construction cleaned up and sealed the attic so that the rodents could not get back in. It's been 3 weeks and we haven't seen or heard any more noise coming from the attic. We found "Attic Construction Inc." in the "Buy One Get One Free" publication. We had anticipated there would be some degree of filth, but did not expect what the photos taken by Ben, the technician showed. 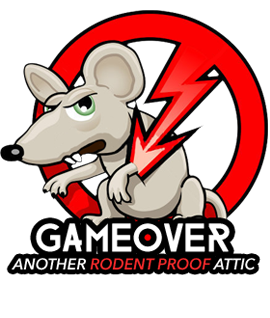 A previous infestation of rodents and typical track builder" construction confirmed the challenge that included gaps left by the builder which had allowed the rodents unbarred access. Ben was very courteous and helpful in sharing our options with no hard sell, just straight forward alternatives.